Lethality remains the raison d’être of an MBT: this is mainly given by two elements, the gun and the ammunition. While the research on new kinetic energy rounds stopped in 2005, under the influence of crisis management operations, the new risks looming over Europe have led the German Army to consider the main role of its MBTs the fight against other tanks, the benchmark being now the Russian T-14 Armata, thus the service requires the capability to penetrate any possible opponent. 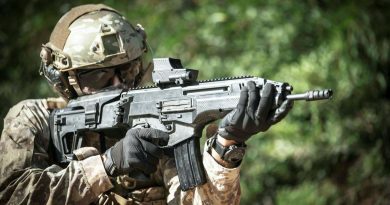 To this end Rheinmetall is working in different directions, explained Dirk Gerthenrich, Product Manager Product Unit Direct Fire/Large Calibre Weapons at Unterlüss. At the lower tier it is proposing its 120 mm smoothbore L/47 LR, for Low Recoil, which has 95% of the components of the L/55 gun. The gun, which weighs only 100 kg more than the L/44, is fitted with a muzzle brake that considerably reduces recoil forces, allowing it to be installed on wheeled and tracked vehicles in the 30 tonnes class; the L/47 LR is considered at TRL 7-8, the only thing to be qualified being the muzzle brake. The L/55 has become the standard gun of the latest versions of the Leopard 2. 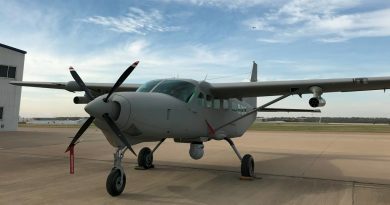 However, to further increase its kill capabilities Rheinmetall is developing the L55A1, which will be able to withstand a higher pressure. Of course no details were provided on the chamber volume and on the maximum pressure; what is known is that the ejector will be made of a new materiel, as well as the cradle and mount. 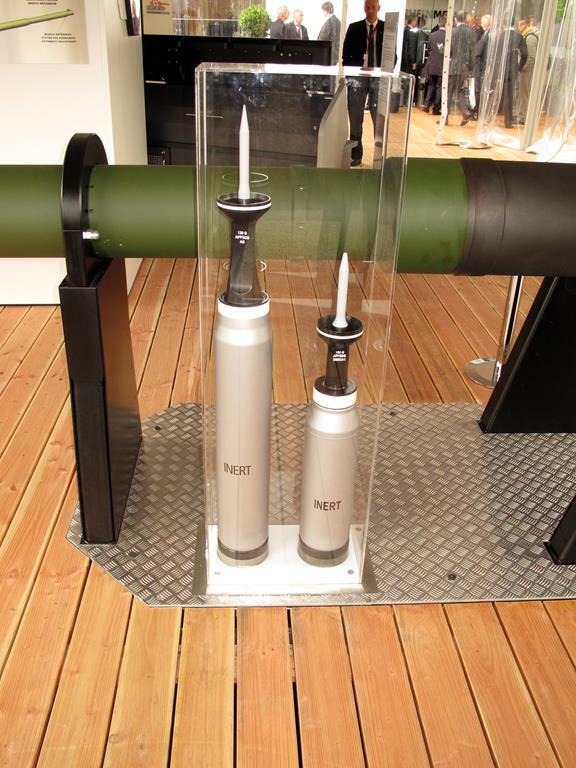 Testing of the new gun is planned to be finished by late 2017, Rheinmetall considering using overpressure rounds for those trials. In parallel the company is developing a new high pressure KE round, which internal working name is KE2020. Altough non contract has yet been signed, Rheinmetall understands that the German Army is considering the upgrade of 104 MBTs to the Leopard 2 A7V standard, which will include the L55A1. The two first demonstrators should be available by mid-2018, the start of serial production being planned for 2019. The programme includes the upgrade of the 20 Leopard 2A7 currently in the Army inventory, the remaining MBTs to be upgraded being Leopard 2A5/A6. The service made it clear that the 120 mm calibre will be maintained until the end of the Leopard 2 lifetime. In terms of ammunition, Rheinmetall is considering a derivative of its DM11, exploiting the airburst effect to damage enemy tanks optics, thus obtaining a mission kill rather than the destruction of the MBT. 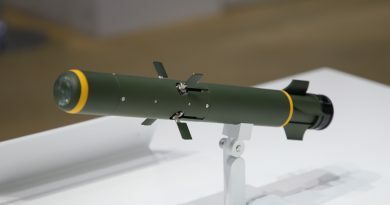 A nDM58 TP-T is ready; however full qualification by the German Army has not yet been finalised, as one of the aims is to recycle the propellant of DM11 and RH31 ammunition when those will be dismissed, which is definitely not yet the case. As announced last May at the Mounted and Dismounted Infantry Symposium, and at the subsequent Eurosatory exhibition, Rheinmetall is looking forward, the 130 mm gun development being the future. The gun has a 15 litres chamber, a design pressure of 880 Mpa, and features a 51 calibres barrel, the recoil path being 450 mm. Three guns have been built, the first one being now ready to fire. The ammunition are currently being manufactured, the first firing being planned before year end at the company Unterlüss proving ground. Comparative trials with the 120 mm gun are planned at a later date, to evaluate the increased penetration capability of bigger calibre rounds, EDR Magazine having understood that the selected target will be representative of the latest tank armour plates and definitely not an RHA plate. 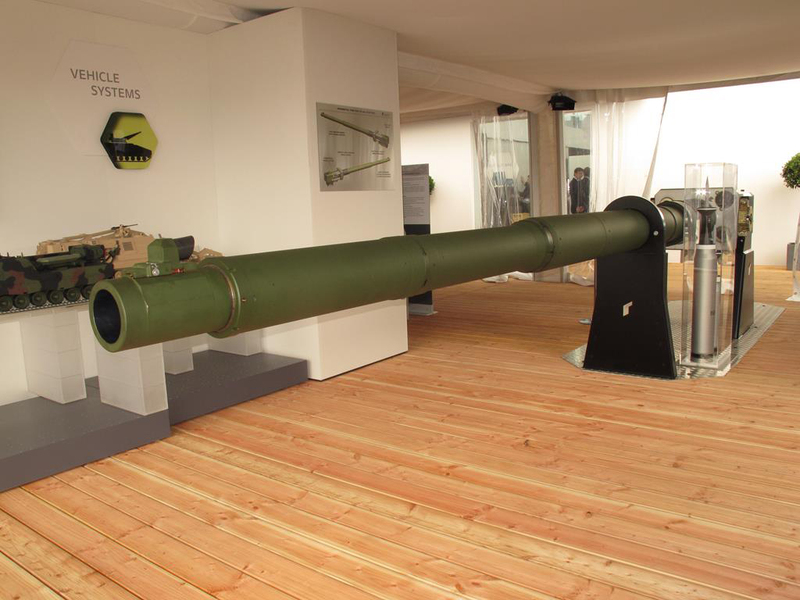 Rheinmetall said clearly that the 130 mm gun is not aimed at the Leopard 2 but rather at its successor. The current gun is mostly a research tool to allow the development of the rounds, a possible production gun having to go through further refining. The system will definitely be fitted with an automatic loader considering the weight of the ammunition.